What keeps custom framing so intriguing for Herman and Betty Allen after doing it for 30 years is the uncertainty of what job will come next. 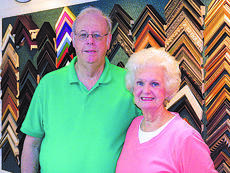 “You never know what you’ll be asked to frame,” acknowledged Herman, who with his wife of 54 years owns Allen’s Custom Framing located behind their home on College Heights. 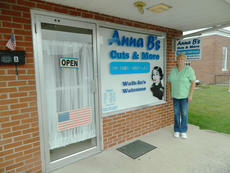 The couple began the business inside their home in 1985. 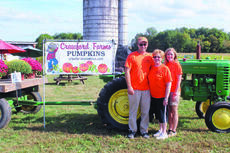 One local farm has evolved into an agritourism fall season attraction farm. Crawford Farms is located on 3999 Hodgenville Road in Elizabethtown near the LaRue/Hardin County line. The farm is open through November 1 Mondays through Fridays from 4 p.m. until dusk, Saturdays from 10 a.m. to 7 p.m. and Sundays from 10 a.m. until dusk. For diesel owners there’s nothing like the hum of a diesel engine. But when one breaks down or needs to be worked on, there can be nothing more frustrating than trying to figure out the problem and work on it yourself. Finding a mechanic that specializes in diesel can be equally difficult. 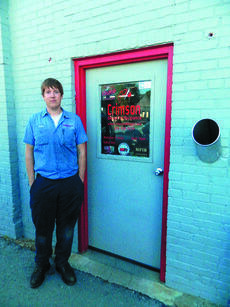 Justin Lafollette opened Crimson Diesel in the spring of 2012 with a partner, Michael Lawless, who has since left the business. The Beauty Bar has a vintage vibe with an upbeat and energetic twist. Decorated with rich gold accessories and pastel colors, this salon reminds one of walking into the set of a 1950s movie. 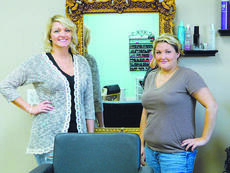 Ashley England is the owner of Beauty Bar, a multi service salon on South Walters Avenue. 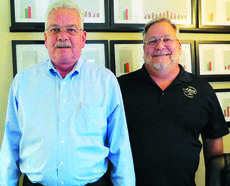 Allen’s Air Conditioning and Heating, Inc., at 1302 Old Elizabethtown Road in Hodgenville had its beginnings in 1962 while founder Ben Allen was a seminary student in Texas. “Dad worked part time on air conditioners and heating while there,” said David Allen, with brother Steve the current co-owners of the company that employs over 25 people. Alan Hardwick, sales manager, attributes the longtime success of the business to taking good care of its customers and employees and to continually working toward goals of improvement. 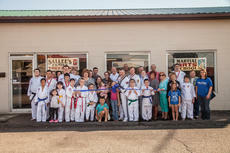 The LaRue County Chamber of Commerce held a ribbon cutting on September 18 for the opening of the new location of Sallee’s Family Taekwondo in Hodgenville. Sallee’s Family Taekwondo opened their Hodgenville school in 1997 at their original location on North Lincoln Boulevard. The Sallee’s also have a school in Campbellsville which was established in 2005. The Hodgenville school recently moved to their new location on 106 Greensburg Street, behind Lincoln National Bank in downtown Hodgenville. An official announcement from Michael G. Abernathy, President of Landmark Community Newspapers, Inc. was made this week, naming Allison Shepherd, Publisher of the LaRue County Herald News. 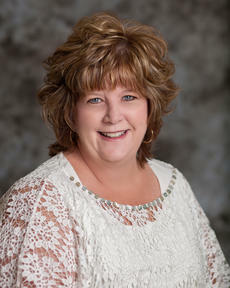 Shepherd began her career as General Manager and Advertising Manager of The Herald News in August 2010. Anna Brown is a testament to putting your mind to something and succeeding. Brown was employed at Elizabethtown Sportswear as a machine operator. When the factory closed, Brown was left wondering what she was going to do. 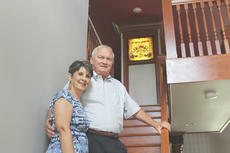 One LaRue County couple recently turned their dream home into an award winning bed and breakfast. Mike and Kaye Smith, owners of All the Way Plumb Bed and Breakfast, located on 4213 Tanner Road in Hodgenville. The bed and breakfast features five separate guest rooms, which include several amenities such as ironed sheets, towel warmers, heated toilet seats and many more. All the Way Plumb was also awarded the 2014 Best New Inn at the annual meeting of the Bed and Breakfast Association of Kentucky. The owners of a LaRue County auto detailing shop said all of their success is a result of God’s blessings on their lives. Long Lasting Auto Detail is located at 539 West Main Street in Hodgenville. Their hours are from 8:30 a.m. to 5:30 p.m. Mondays through Fridays. The business specializes in detailing, cleaning inside and outside, of auto vehicles, boats, RVs, motorcycles, semi-trucks, tractors and other vehicles. The business is also looking to expand into detailing airplanes in the near future.